I loved this book so much. As an introvert and an anxious person myself, I could relate to Eliza and understand her actions. 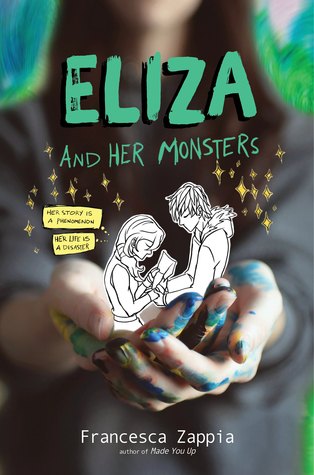 I loved Francesca Zappia’s writing and she captured the emotions and mindset of Eliza very well. I am a part of various bookish fandoms and this book gave me a perspective on the pressure that a creator such as an author or artist may feel when their work becomes famous. Overall, I enjoyed reading this story immensely and am looking forward to reading more of Francesca Zappia’s work. I felt the absolute same !! And she had the same anxiety-driven irritability that I had at the beginning; even though you know it’s not their fault and you cannot take your anger on them .. it just slips out of you.. Exactly! We can’t help it! I am glad you could relate.